The implementation of the five bills comprising the insolvency framework has been delayed again and will probably be put before the House plenum on April 16, before the Eurogroup meeting on April 23. THE implementation of the five bills comprising the insolvency framework, which is vital for the next tranche of Cyprus’ bailout loan, has been delayed again. Parliamentary Finance Committee President Nicholas Papadopoulos said that the bills will not be brought before the House plenum on 2nd April as originally planned, but after Easter; probably 16th April and definitely before a crucial Eurogroup meeting. Today MPs concluded debating the fifth and final bill and next Monday the parties will submit their proposed amendments. Ruling DISY leader Averof Neophytou asked Cyprus’ European partners for their understanding, noting the need to protect vulnerable groups. “We think that these matters are urgent and despite delaying, when we vote on them they must be legally correct and serve the aim of protecting borrowers,” he said. AKEL general secretary Andros Kyprianou stressed that his party will only support the framework on the condition that vulnerable groups are protected. Socialist EDEK MP Nicos Nicolaides said that the goal is to safeguard loan guarantors. EVROKO chairman Demetris Syllouris, who holds the potential crucial vote for the approval of the framework, said that his condition for voting in favour of the bill is the adoption of his proposal, which provides a safety-net for loan guarantors. The proposal exempts loan guarantors if a property sells for less than 80% of its market value and, if a property sells for more than 80%, the guarantors will pay the balance without becoming insolvent. The likelihood of a Greek default is now very high and increasing by the day, given the continuing unwillingness and inability of the Greek government to sacrifice political ideology for fiscal competence and discipline. They can bluster, bellow and brag all they like but politically the EU simply cannot allow it to weaken their resolve. The tax payers in Germany and indeed all the other EU members states who have been footing Greece’s bailout bill simply will not stand for it. If Greece defaults, it will necessarily have to remove itself from the Euro currency immediately simply to save its economy from complete destruction. This will not be a case of the EU or ECB forcing it out, rather Greece removing itself out of self-preservation. There are those in Cyprus who, emotionally, want to emulate what they see as Greece’s plucky resistance to the EU/ECB/IMF/Germany and all ‘malevolent outside forces’. However, it’s easy to offer sympathy and moral support from the distant comfort of Cyprus if you don’t have to suffer the consequences yourself. If Greece does default and exit the Euro currency, their current austerity will seem like paradise in comparison with what will hit the population in short order. This could be an extremely sobering object lesson for Cypriots. I doubt they will want to do a ‘lemming leap’ over the Greek cliff in hot pursuit!! As the Cyprus government still has enough liquidity for a short time and can pay its civil servants’ and Deputies’ wage bill, the opposition MPs can afford to play mischievous games and hold up a sign off. As soon as a default on these ‘essential’ payments looms, suddenly the legislation will be signed off. It’s an interesting toss up between which happens first to hasten the sign off – Cyprus’s own liquidity problems or Greece’s default. They are both looking more neck and neck by the day. Greece will not be leaving the Euro or the EU. As their President said, if Greece leaves and defaults that is Greece’s problem. If Greece defaults in the Euro it’s everyone’s problem. He then added not only is Greece not leaving, but there is no mechanism in place to expel any country from either the Euro or the EU. To quote the old saying. “A problem shared is a problem halved.” Well in this case it’s shared between the Euro countries. Much better than going it alone. Delayed again so that Cyprus can leave the Euro and probably the EU in coordination with Greece; thus the property fraudsters get away with it. No doubt Greece and Cyprus have already done a deal with Russia and they are just waiting for Angela Merkel to push Greece out of the doomed financial zone. 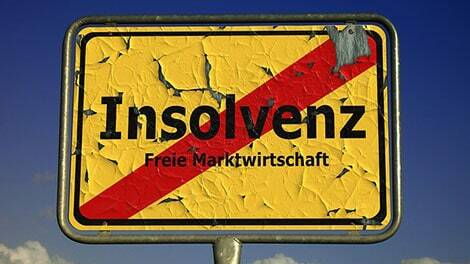 Insolvency framework delayed again – now there’s a surprise. How unpredictable (not). Protection of the guarantors, the developers, MPs, the banks, the lenders, the lawyers all under the guise of ‘vulnerable borrowers’ – yeah right! When will these numpties realize we all know who the “real vulnerable groups” are? Whatever happens the buyer is never going to be protected unless they and the banks start to write of some of the developers debts. IT WAS PURE GREED by the banks dishing out money to developers with no collateral. The liquidator on our site has already told us he will not go after the guarantors as he does not feel it is his job.